In the early 15th century, the King Taejong ordered the construction of a new palace at an auspicious site. A Bureau of Palace Construction was set up to create the complex, consisting of a number of official and residential buildings set in a garden that was cleverly adapted to the uneven topography of the 58-ha site. The result is an exceptional example of Far Eastern palace architecture and design, blending harmoniously with the surrounding landscape. Au début du XVe siècle, le roi Taejong a ordonné la construction d'un nouveau palais dans un lieu propice. Un office de construction du palais a été établi afin de créer cet ensemble constitué d'un certain nombre de bâtiments officiels et résidentiels édifiés dans un jardin minutieusement adapté à la topographie irrégulière du site, d'une superficie de 58 ha. Le résultat est un exemple exceptionnel de la conception extrême-orientale de l'architecture des palais, harmonieusement intégrée à son cadre naturel. أمر الامبراطور تايجيونغ في مطلع القرن الخامس عشر بتشييد قصر جديد في مكان مؤات، فتمّ تأسيس مكتب لتشييد القصر بغية إنشاء مجموعة الأبنية الرسمية والسكنية هذه في حديقة مكيّفة بدقة مع الطوبوغرافيا غير المنتظمة التي تميّز الموقع الممتد على 58 هكتاراً. أما النتيجة فتتجلّى في نموذج رائع من اسلوب هندسة قصور الشرق الأقصى المندمجة بتناغم في إطارها البيئي. В начале XV в. император Тхэджон распорядился о постройке нового дворца в живописной местности. Специально организованное «Бюро по постройке дворца» создало целый комплекс общей площадью 58 га, тщательно вписав его в пересеченный рельеф, куда входило множество официальных и жилых построек, а также парк. В результате возник шедевр дальневосточной дворцовой архитектуры и дизайна, гармонично сочетающийся с окружающим природным ландшафтом. A comienzos del siglo XV, el emperador T’aejong ordenó construir un nuevo palacio en un sitio para el que los augurios habían sido propicios. Se creó una oficina encargada de construir los edificios oficiales y residenciales del conjunto palacial, que se erigieron en un jardín adaptado con gran sabiduría a la topografía irregular del sitio de 58 hectáreas escogido. El resultado fue la creación de un ejemplar excepcional del diseño y la arquitectura palatina del Lejano Oriente, que se integra con armonía en el paisaje circundante. In het begin van de 15e eeuw gaf koning Taejong opdracht voor de bouw van een nieuw paleis op een gunstige plek. Om het complex te bouwen werd een Bureau voor Paleisconstructie opgericht. Het paleiscomplex bestaat uit officiële en residentiële gebouwen en ligt in een tuin die slim is aangepast aan het ongelijke reliëf van het 58 hectare grote gebied. Het resultaat is een uitzonderlijke voorbeeld van paleisarchitectuur en -ontwerp uit het Verre Oosten. Het paleis vormt een harmonieus geheel met het omringende beboste landschap. De tuin werd aangelegd met een reeks terrassen beplant met grasvelden, bloeiende bomen, bloemen, een lotusvijver en paviljoens. Constructed in the 15th century during the Joseon Dynasty, the Changdeokgung Palace Complex occupies a 57.9 ha site in Jongno-gu, in northern Seoul at the foot of Ungbong Peak of Mount Baegaksan, the main geomantic guardian mountain. Changdeokgung is an exceptional example of official and residential buildings that were integrated into and harmonized with their natural setting. The complex was originally built as a secondary palace to the main palace of Gyeongbokgung, differentiated from it in its purpose and spatial layout within the capital. Situated at the foot of a mountain range, it was designed to embrace the topography in accordance with pungsu principles, by placing the palace structures to the south and incorporating an extensive rear garden to the north called Biwon, the Secret Garden. Adaptation to the natural terrain distinguished Changdeokgung from conventional palace architecture. The official and residential buildings that make up the complex were designed in accordance with traditional palace layout principles. The buildings and structures include three gates and three courts (an administrative court, royal residential court and official audience court), with the residential area to rear of the administrative area reflecting the principles of ‘sammun samjo (三門三朝)’ and ‘jeonjo huchim (前朝後寢)’. The buildings are constructed of wood and set on stone platforms, and many feature tiled hipped roofs with a corbelled multi-bracket system and ornamental carvings. The garden was landscaped with a series of terraces planted with lawns, flowering trees, flowers, a lotus pool and pavilions set against a wooded background. There are over 56,000 specimens of various species of trees and plants in the garden, including walnut, white oak, zelkova, plum, maple, chestnut, hornbeam, yew, gingko, and pine. Changdeokgung was used as the secondary palace to Gyeongbokgung for 200 years, but after the palaces were burnt down during the Japanese invasion in the late 16th century, it was the first to be reconstructed and since then served as the main seat of the dynasty for 250 years. The property had a great influence on the development of Korean architecture, garden and landscape planning, and related arts, for many centuries. It reflects sophisticated architectural values, harmonized with beautiful surroundings. Criterion (ii): Changdeokgung had a great influence on the development of Korean architecture, garden design and landscape planning, and related arts for many centuries. Criterion (iii): Changdeokgung exemplifies the traditional pungsu principles and Confucianism through its architecture and landscape. The site selection and setting of the palace were based upon pungsu principles, whilst the buildings were laid out both functionally and symbolically in accordance to Confucian ideology that together portrays the Joseon Dynasty’s unique outlook on the world. Criterion (iv): Changdeokgung is an outstanding example of East Asian palace architecture and garden design, exceptional for the way in which the buildings are integrated into and harmonized with the natural setting, adapting to the topography and retaining indigenous tree cover. Changdeokgung incorporates all key components required in Korean palace architecture and conforms to Confucian principles and protocols in its spatial layout, arrangement of buildings, gardens and forested mountain landscape at the rear of the palace. All the palace components are still intact, including the Oejo, the royal court of the dynasty; Chijo, the administrative quarters of the palace; Chimjo, the residence of the royal family; and the garden intended for the king’s leisure. The entire architectural complex and natural setting of Changdeokgung are included within the boundaries of the property. The principal threat to the physical integrity of the buildings is fire. The wooden structures have been destroyed by fire on successive occasions throughout their history. The buildings of Changdeokgung Palace Complex were destroyed by fire and have undergone successive reconstructions, and some additions were made to the complex in the centuries following its construction. However, when judged against the philosophy and practices that are standard in Asia, the complex has a high level of authenticity. The buildings and natural elements of the rear garden have sustained their original forms, which generally date from the latter part of the Joseon Dynasty, and their relationship with the natural terrain and landscape. Most recently, work has been undertaken to reverse the changes made during the Japanese occupation during the early 20th century. This work is being carried out using traditional methods and materials, and is based on historical evidence and research. The entire area of the Changdeokgung Palace Complex, including the individual buildings and plantings within the complex, has been designated as a State-designated Cultural Heritage under the Cultural Heritage Protection Act. In addition, a number of the buildings of the complex have been designated as National Treasures or Treasures (Injeongjon Hall, Injeongmun Gate, Seonjeongjeon Hall, Huijeongdang Hall, Daejojeon Hall, Old Seonwonjeon Shrine and Donhwamun Gate) or as Natural Monuments (the Chinese juniper tree and the Actinidia arguta plum tree). These designations impose strict control over any alterations to the property. The area extending 100 m from the boundary of the Changdeokgung Palace Complex has been designated as a Historic Cultural Environment Protection Area under the Cultural Heritage Protection Act, and all construction work and alterations within the area require the authorization of the Cultural Heritage Administration through the Jongno-gu district office. The Rear Garden of Changdeokgung has been designated as an Ecological Scenery Conservation Area under the Natural Environment Conservation Act. 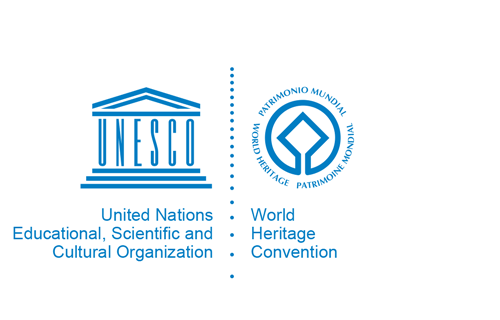 At the national level, the Cultural Heritage Administration (CHA) is responsible for establishing and enforcing policies for the protection and management of Changdeokgung, and for allocating financial resources for its conservation. The Changdeokgung Management Office, with approximately 40 employees, is in charge of day-to-day management. Regular day-to-day monitoring is carried out and in-depth professional monitoring is conducted on a 3-to-4 year basis. The area around Changdeokgung is managed co-operatively by the Urban Planning Division, Traffic Policy Division and Cultural Heritage Division of the Seoul Metropolitan Government. Seoul City‘s Basic Scenery Plan and District Unit Plan for the areas surrounding Changdeokgung, which are periodically revised and updated, provide the framework for management and work planning in the buffer zone. Conservation works in Changdeokgung are conducted by Cultural Heritage Conservation Specialists who have passed the National Certification Exams in their individual fields of expertise. The CHA is implementing the Integrated Security System Establishment Plan for the 5 Palaces and Jongmyo, in place since 2009, in preparation for accidents and/or disasters that could impair the integrity of the property.